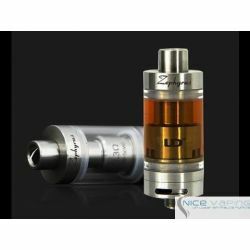 Zephyrus version 2 ahora con un tanque masivo de 6 ml. 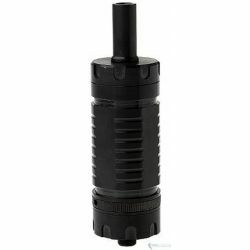 Youde integro un unico diseño para prevenir la condensacion en la base de la unidad. 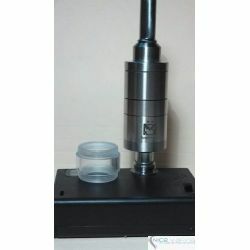 Compatible con resistencias y base RBA anteriores. 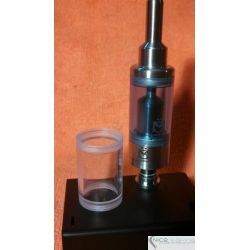 La base RBA ha sido actualizada con un deck mas grande. 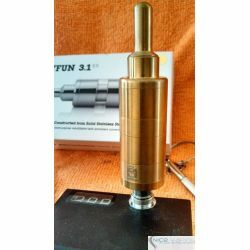 Disponible en acero inoxidable. 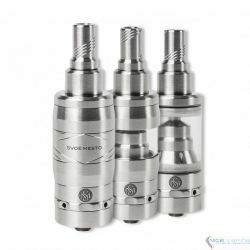 Precio por unidad. 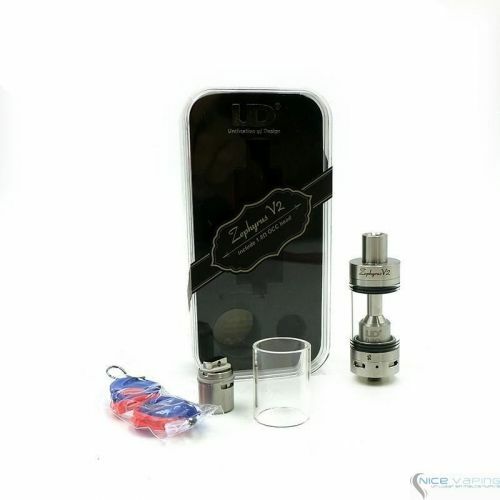 The Youde Zephyrus V2 Tank is the evolved version of the Zephyrus. 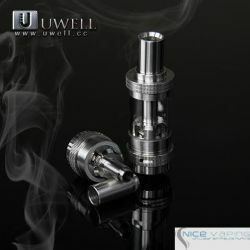 It will work with Zephyrus version 1 coils. 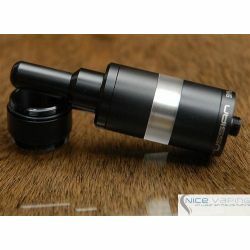 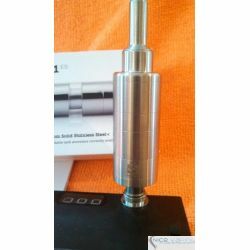 The coils that this atomizer will work with are the UD OCC coil heads, as well as your own build. 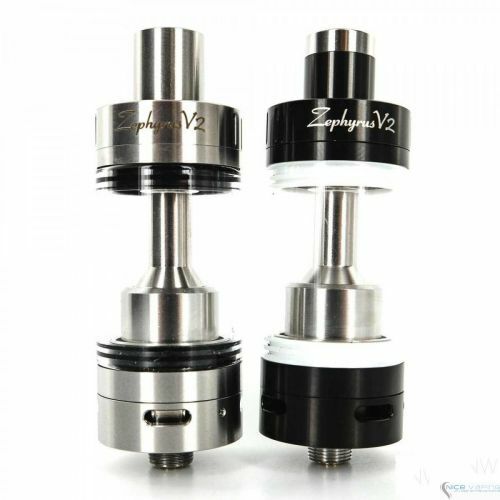 The Zephyrus V2 comes with an RBA section that is a nice size and easy to work on. 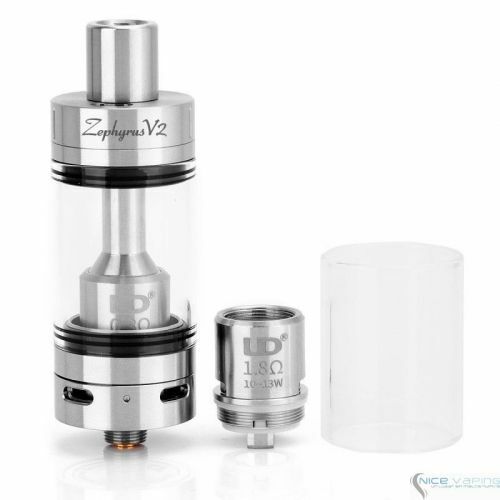 Zephyrus tank coils come in 0.2, 0.3, and 0.5 ohm resistance. 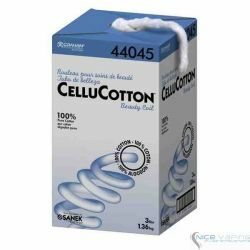 All the coils utilize Japanese organic cotton. 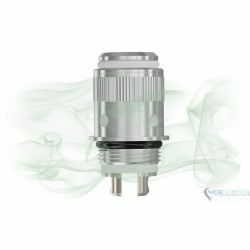 There is a ceramic element in the base to maximize flavor, Youde’s signature feature. 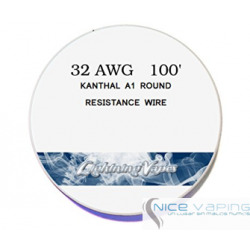 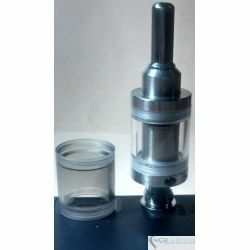 The ceramic cup is found outside of the coil head, there is no ceramic element at all in the organic cotton coil. 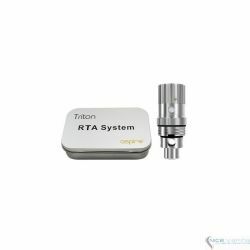 The RBA base comes with the kit. 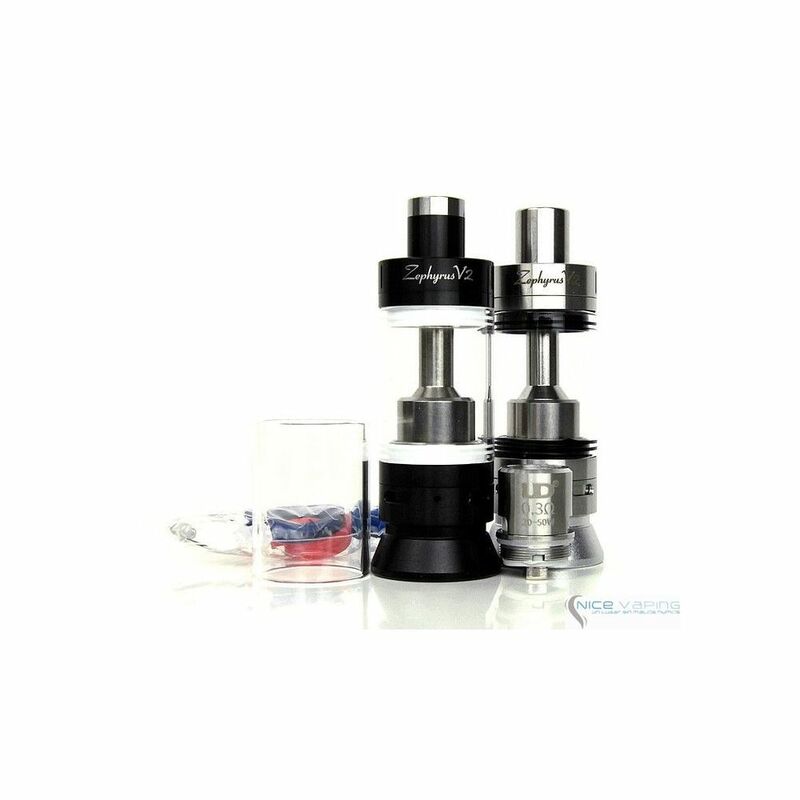 The Zephyrus V2 coils have a metal element that can be removed and used on replacement coils, bringing down the price of coils altogether. 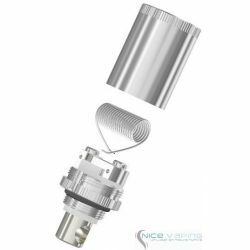 It can be a contender for best RBA and coil head tank. 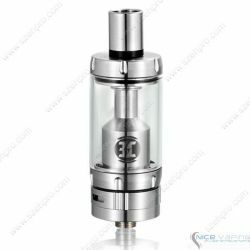 By having both parts come with the tank, the possibilities are limitless. 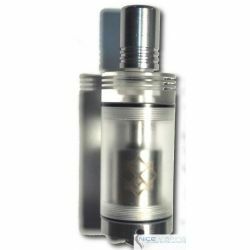 The tank holds 5ml of e-liquid. 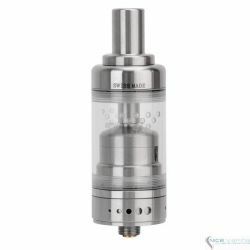 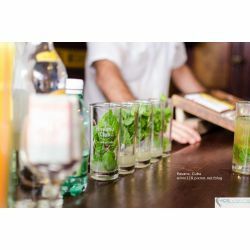 The Pyrex tank section means you can use any juice you like. 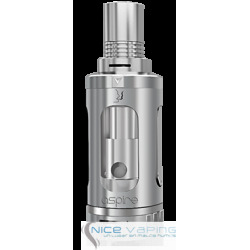 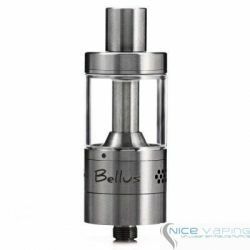 The Zephyrus comes with one 0.3 ohm coil, an RBA base and a replacement Pyrex tank section. 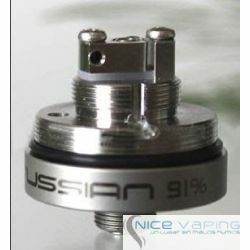 The airflow holes are 3mm by 6.5mm, thereby allowing significant airflow. 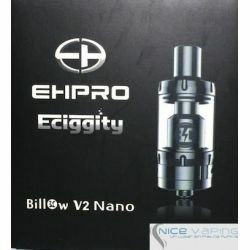 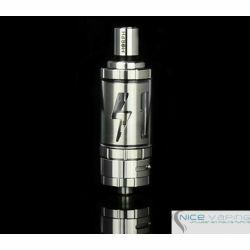 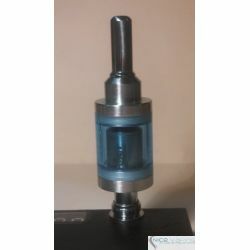 Temperature control nickel coil heads are also available for this atomizer. 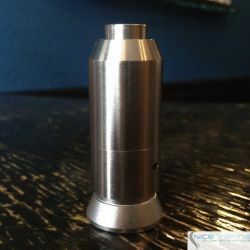 The drip tip is chamfered like the inside of a gun barrel. 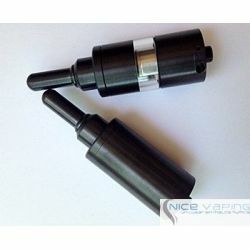 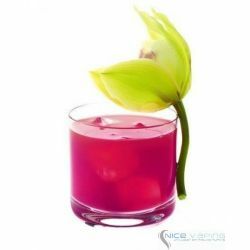 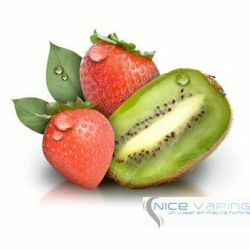 This helps vapor swirl up when pulling on the tank, and keeps flavor at a maximum level. 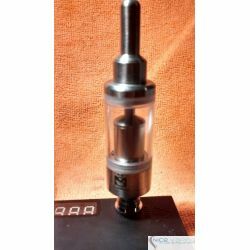 The drip tip is also well-fit, unlike many other sub-ohm tanks. 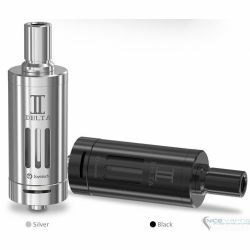 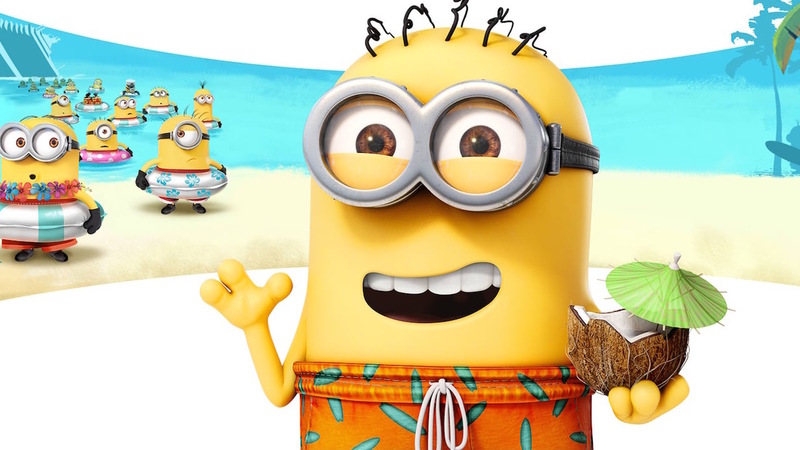 The fit is so great, in fact, that one is reminded of an authentic RDA like the Derringer and associated drip tip. 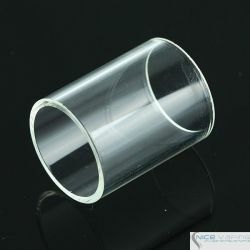 The AFC ring has been revised for more airflow. 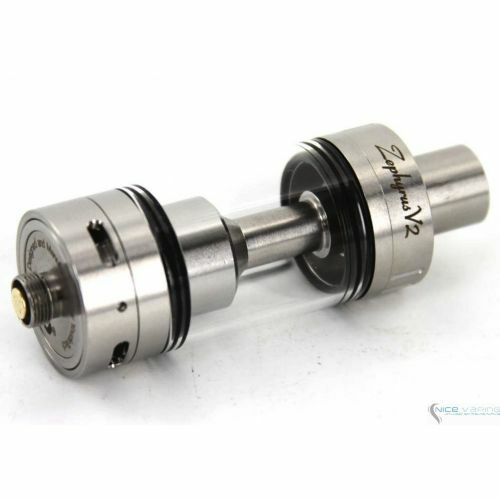 The o-rings for the glass tank section are far beefier than others currently on the market. 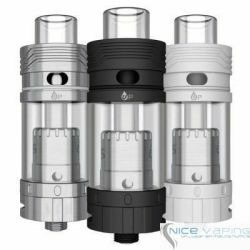 Blue, red and clear o-rings for more styling choices! 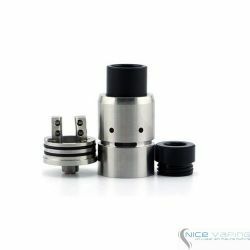 RBA base comes with the tank for your own builds!